OYO 14323 Anupama Hotel is ideally located in the heart of Visakhapatnam. A perfect choice for the business and leisure travellers, the hotel offers quality comfort at unbelievable prices. Maintained by a skilled and hospitable staff, we ensure to provide you an attentive and personalized service. The rooms have been designed per the taste of modern travellers with each element of decoration chosen passionately. 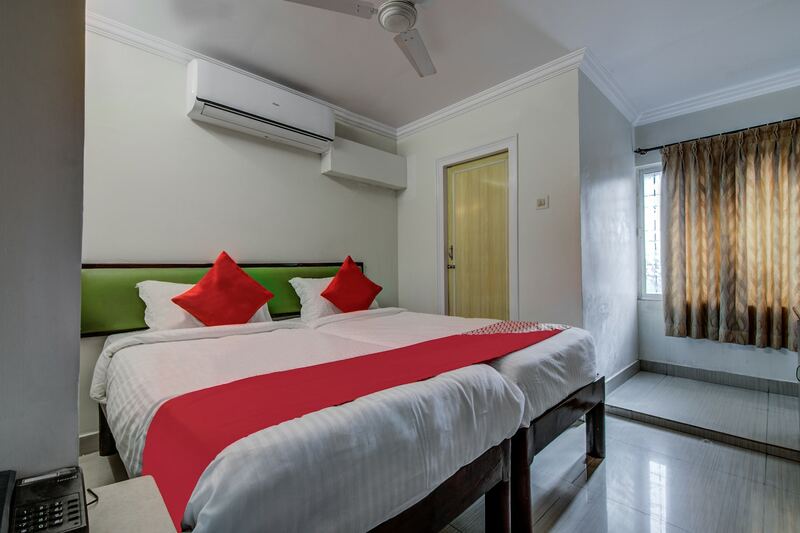 You can find all the amenities like Dining Area, Complimentary Veg Breakfast, In-house Restaurant to your comfort. Wander around the city visiting its top attraction like Ins Kursura Submarine Museum, Vuda Park and Kailasagiri. Come back to rest your head in OYOs peaceful environment. Do not fret if you run out of cash. Theres State Bank Of India ATM - Dwaraka Nagar Branch, SBT ATM and Indian Bank located at a short distance. Make memories in Visakhapatnam, while you enjoy a welcoming stay at OYO 14323 Anupama Hotel.